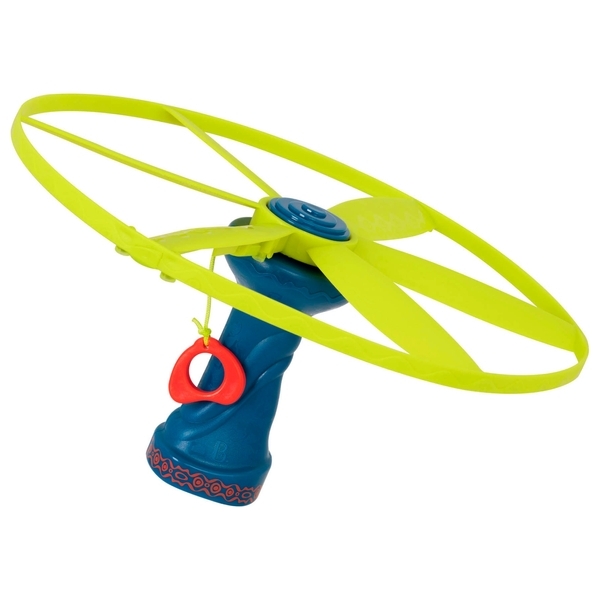 Watch the sky become glowing bright, filled with swirling coloured lights with this Skyrocopter with Flying Light-up Disc. Skyrocopter with Flying Light-up Disc is easy to launch. Simply pull the string and watch it go. Skyrocopter with Flying Light-up Disc creates beautiful luminous patterns in the sky.